There’s beauty, and then there is Saint Lucia. Saint Lucian Nobel Laureate, Sir Derek Walcott once said, “Visual surprise is natural in the Caribbean; it comes with the landscape.” When you travel to any Caribbean island, you expect sun, sea, and sand. 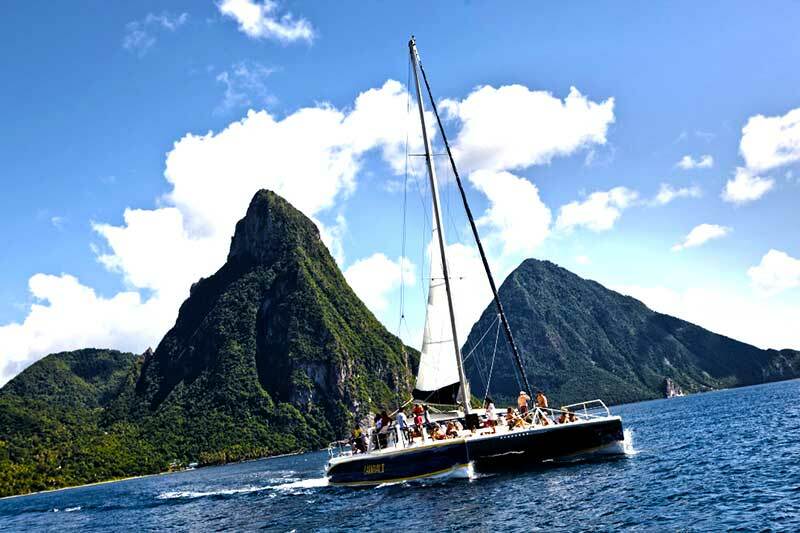 But Saint Lucia’s transcendent natural wonders will transport your mind, body, and soul. Here you have the opportunity to experience the adventure of a lifetime. In a league of its own, the island’s unmatched splendor is due in part to its volcanic origin. Rich in minerals, the soil produces vegetation so lush that the island seems more like a painted masterpiece. Volcanic eruptions hundreds of centuries ago, also gave rise to bubbling mud pools and Sulphur Springs. Altogether, the result is a wealth of natural wonders that make for perfect adventures. Being outdoors never felt so good. Enjoy the rich earthy smell of the rainforest, and fill your lungs with the fresh island air. You’ll appreciate nature like never before. You can sign up for group tours or create your own adventures. Take your Saint Lucia adventures to great heights by hiking the Gros Piton. If you want to keep your trekking at sea level, you can hike the Eastern Nature Trail along the Atlantic coastline. ATV Tours, ziplining, and nature trails are just a few of the many Saint Lucia excursions available. Countless possibilities await you. WHILE OUT AND ABOUT EXPLORING the sights and sounds, be sure to take all the ‘island time’ you need. Saint Lucia has 50 million years of inspiration to share. Waterfalls, lazy rivers, numerous beaches, and even a water park provide hours of endless fun. The only thing that will make it difficult to plan your Saint Lucia excursions is the number of choices. You won’t know where to begin as one activity is as appealing as the next. There’s no need to worry, however, as you are sure to get the most out of your vacation dollars. Go kayaking down the Roseau River. Sign up for Sea Trekking and get up-close with the friendly marine life. Experience underwater activities like scuba, snorkeling or snuba. Or go on a world-class kitesurfing excursion. There’s something for everyone, and you’ll find perfect options for couples, friends or families. Not everyone who goes on vacation intends to engage in thrill-seeking or outdoor adventures. Your ideal escape might involve lounging by the pool. Curling up in a giant bed in a luxury suite — just you, the waves crashing outside your suite, and the all-inclusive menu seems like a good plan. That is, until you get to Saint Lucia. Fresh, clean air and majestic, awe-inspiring scenery will tug at your senses. You may be in your hotel room only long enough to recoup for your next adventure. Your Saint Lucia adventures will leave you with memories that will keep you wanting more. Saint Lucia is the only country in the world named after a woman. That’s appropriate, given her mystique and intoxicating presence. Come experience all the natural wonders Saint Lucia has to offer and let her inspire you.